Coloring is a fun activity that both kids and adults can do. It promotes the physical and mental development of a child and alleviates stress or management in emotional stability for adults. 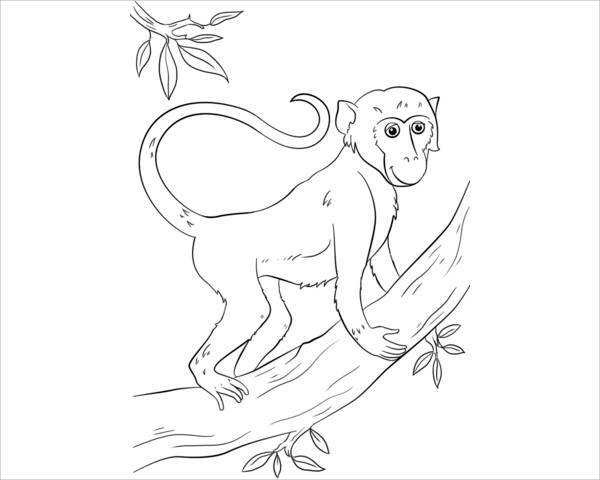 If you are a believer of this traditional activity, then stay where you are and browse through our list of simple monkey coloring pages, which you can save and print. The respective files on this list are available in JPG and Ai Illustrator format for easy download. 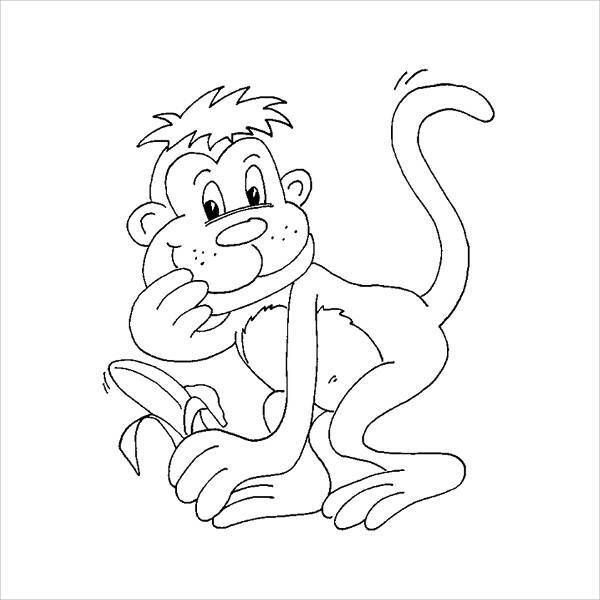 Do check out our Coloring Pages for Adults listing as well. 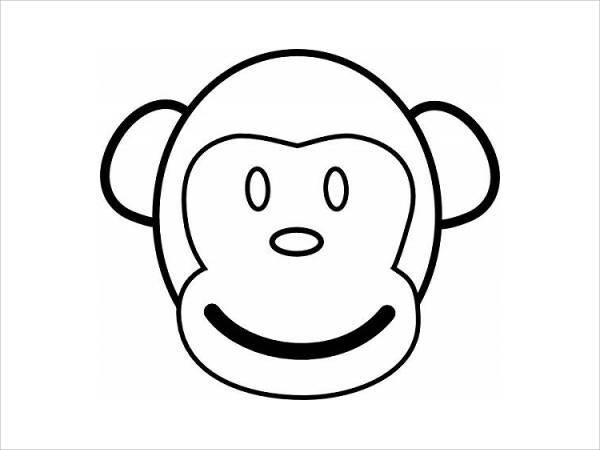 Have you ever wondered why monkeys seem to like bananas so much and why it’s mostly what they eat? That’s mainly because it’s the most abundant fruit in the tropical areas where they live. They don’t know about nutrition, they just know that it can be eaten, it’s sweet and tasty and it seems like it can sustain the energy they need in that small package. 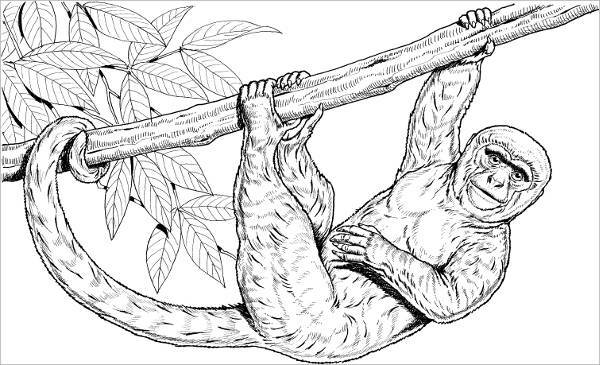 Educate your kid about this fact while having them draw the interesting “Printable Monkey Coloring Page”. Baby animals are just the cutest, don’t you agree? 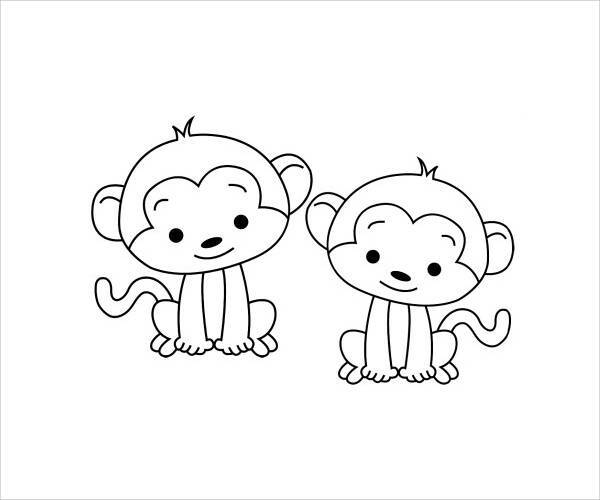 You’ll agree for sure when you see and get to color the “Baby Monkey Coloring Page” and the “Cute Monkey Coloring Page”. 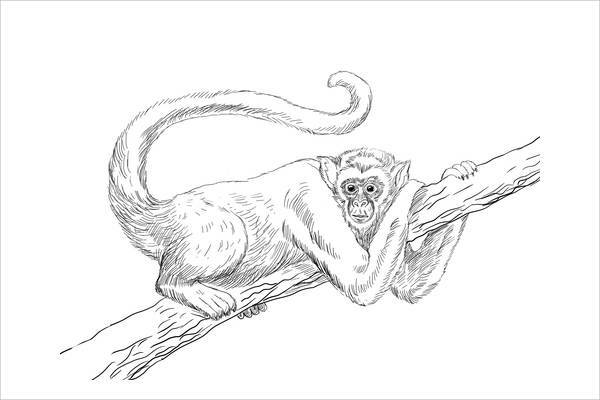 A simple drawing can go far when it is colored well, refer to the “Free Monkey Coloring Page” and have a blast in coloring this hand-drawn illustration. 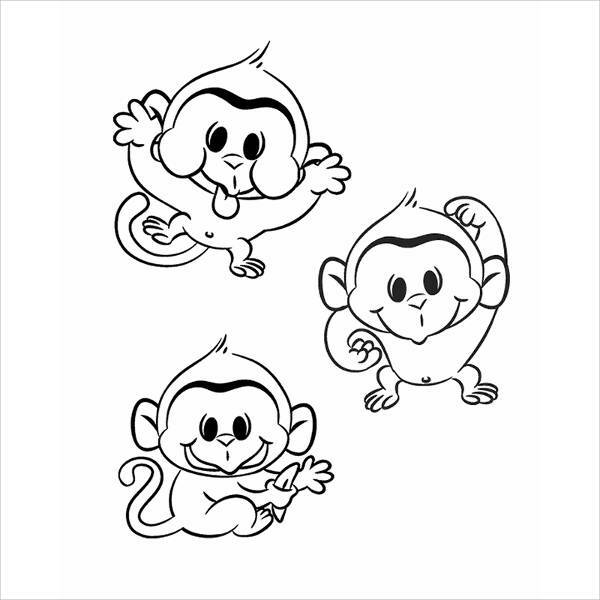 Monkeys have starred in numerous movies, be it life-like (in action) or as cartoons. 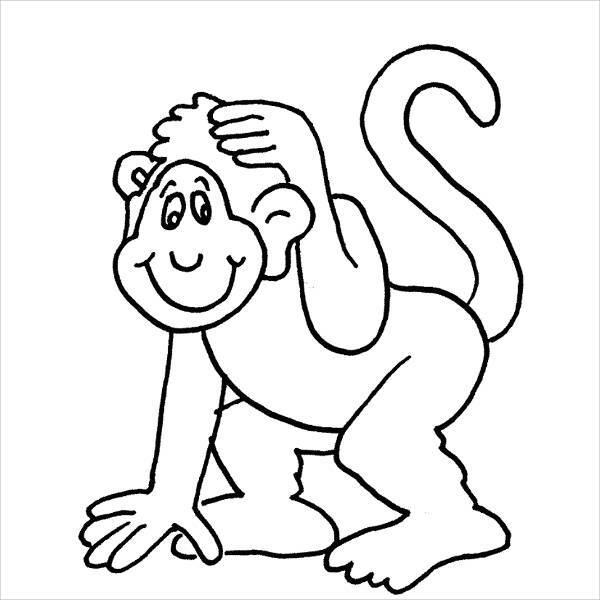 Color this fun energetic creature in “Cartoon Monkey Coloring Page”. 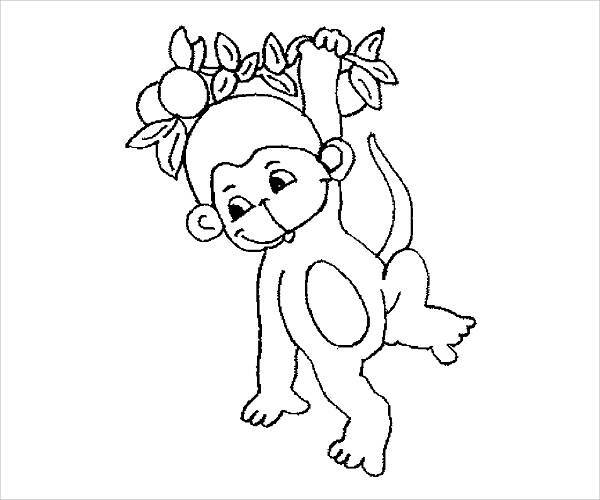 For adults, you can always join your kids and have a fun bonding or color it on your idle time with our Abstract Coloring Pages for adults. You’ll surely love it for yourself. This physical activity has a lot of advantages for your kid. You yourself can benefit from this activity as it requires mental, visual and physical coordination. Despite the advancements in our technology today, this traditional activity we’ve enjoyed as childen has continued to carry on until this very day for good reaso; and it will stay for as long as we continue to use it. Make your kids take a break from their gadgets or from staring for long hours at the television and engage them in a fun filled activity that involves pure learning and development instead. This activity promotes the development of motor skills, creativity, patience, boosts confidence and most importantly, it alleviates stress. You must have known by now that coloring is not just for kids anymore and this didn’t make a come back due to a sudden hipster trend. It just so happened that science found evidence of its ability to assist in therapy by alleviating stress or managing emotional stability. If you found this topic interesting or highly beneficial, stop second-guessing and start downloading now instead. If you haven’t made up your mind on whether you should be investing now with a few more quality pages, you can give our Free Printable Coloring Pages listing a try first.